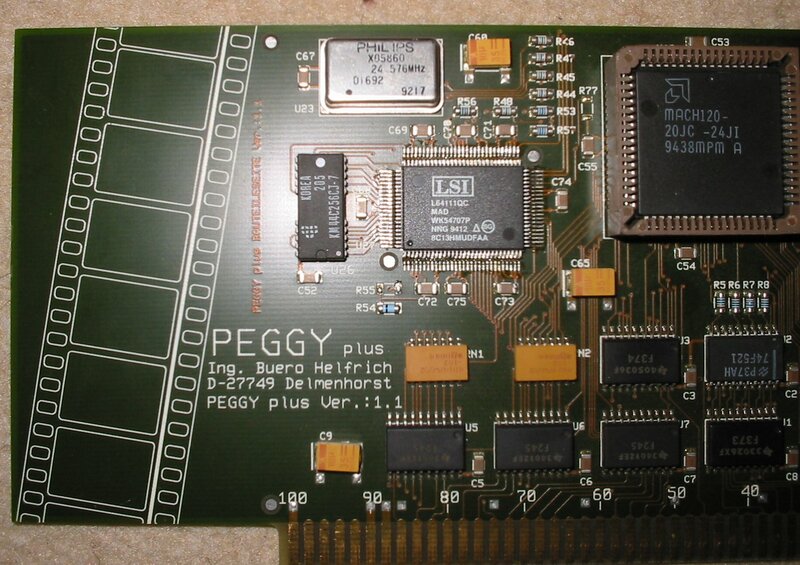 The Peggy Plus is a full length Zorro II card which also uses a video slot to display MPEG video. 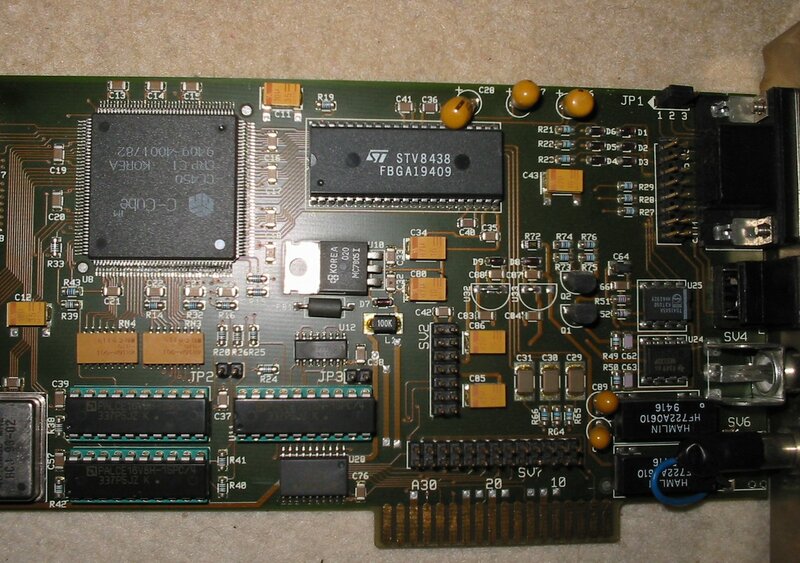 It has composite out (with optional daughter board), RGB out and 16bit audio out with a pass-thru for Amiga sound. It can also play MP2 sound with minimal CPU usage. The Peggy Plus plays video CDs and MPEGs at 30fps even on an 030 based 4000. Supplied with MPEG video software, the Scala MD100EX extension also works well with this card. It also has a built in genlock for placing Amiga Graphics over the MPEG video. The default is 1-2 so a standard VGA monitor can be connected. Most MPEGs however, only play at a rate of 15Khz so many monitors won't display it. Page contributors: Frank Cieslewicz, Julian Cassin, Simon Vergauwen, Thomas Reiss.